Capacity building of customs and border control officers is at the core of the partnership of the Green Customs Initiative. Since 2004, the Initiative has carried out a range of activities aimed at building capacity of those at the forefront of trade and customs issues, through national and regional workshops, e-learning tools, specialized training, among others. 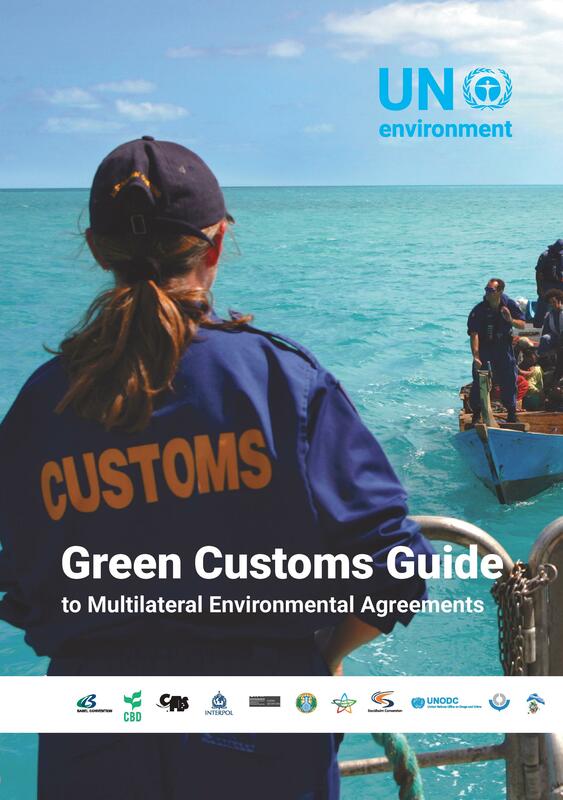 Ten years after the publication of our first Green Customs Guide to Multilateral Environmental Agreements, we are happy and proud to share the updated version of this guide. It has been specifically designed for customs officers and border control officers as part of a training curriculum or as an introduction to the subject. It provides an overview of the multilateral environmental agreements, their requirements related to trade in environmentally sensitive substances and commodities, and the role of customs officers and border control officers in facilitating legal trade and preventing illegal trade. Hence, the customs and border control officers will know better what to look for, why they are looking for it, what the implications of uncontrolled or illegal trade are and whom to contact for more specialized assistance. The Secretariat of the Green Customs Initiative would like to thank all the partners that were involved for their extremely valuable contributions and all other actors who contributed to the development of this GCI guide.